Dong Soo and Yoon Sung get to know Da Jin is sent to hospital, and they rush to hospital respectively. Yoon Sung hugs Da Jin, and Yoon Sung takes the initiative to kiss Da Jin. Kang Dong Soo accidentally caught the sight of them in kissing, and is shocked and heartache. 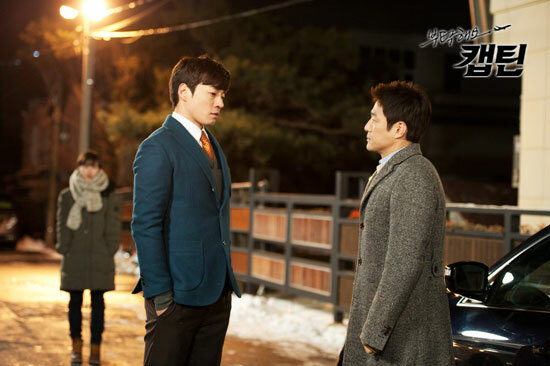 The next day, Yoon Sung and Da Jin meet in company, the atmosphere is awkward. Da Jin who does not know the heart of Dong Soo continues to be a good friend with him. But facing with such a Da Jin, Dong Soo is even more painful. Yoon Sung asks Ji Won not to love him anymore, Ji Won said that she could not. Mi Joo brings along gift to visit Yoon Sung, Yoon Sung decides to make a clean break with her. Da Jin returns the sunglasses to Yoon Sung, Yoon Sung is lost. Ji Won is selected as Wings Angel, Joo Ri is not taking it lying down after seeing it. On the other hand, Mi Joo is investigating the past of manager Choi Ji Won, Ji Won looks at the flight attendants, the detest and criticism is continuous.